As many of you will know we do an egg round in Frosterley and sell any surplus eggs at the gate to Harehope Quarry, when we have them. Having a flock of hens we rarely buy eggs but for some reason we ended up with some free range eggs from the supermarket. 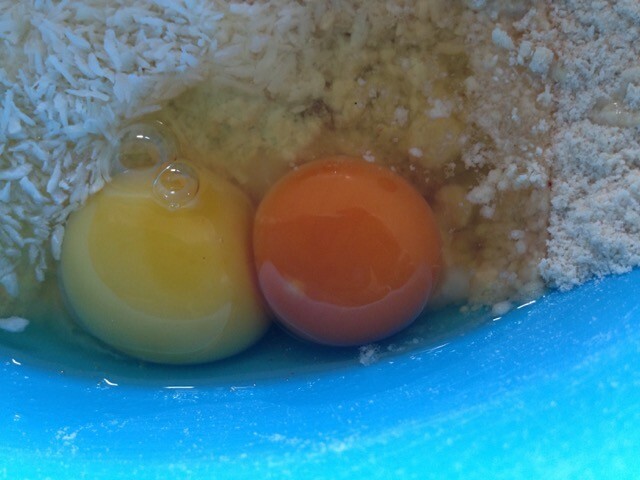 I was amazed to see the difference between ours and the supermarket market eggs when they were both in the same bowl whilst making a cake. Just take a look!